Beach Front Homes are one of the most popular searches here at San Clemente Real Estate. 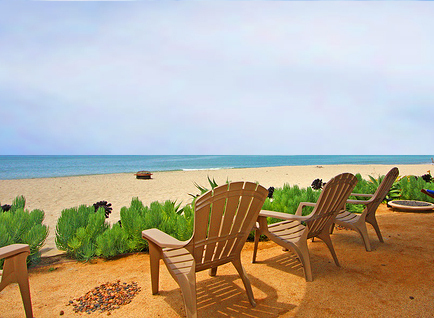 One of the communities that has the highest inventory of Beach Front homes would be Cyprus Shore in San Clemente! Cyprus Shore is located next to the former Nixon White house in Cotton's Point. Cyprus shore has a community pool, tennis and it's own private beach! Other Beach Front homes can found in the Southwest San Clemente area on the street "Calle De Los Alamos" and the "La Ladera" oceanfront gated community. La Ladera homes are probably the closest of a home you will get to the sand in San Clemente. One exception to this is the recently converted mobile home row of houses on the ocean side of Pacific Coast Highway that have recently gone through a conversion process and now are classified as single family homes. These homes truly sit right on the sand with direct access to the beach and ocean! These homes have the address 1880 N El Camino Real associated with them. If you are looking for a beach front condo please visit our dedicated "San Clemente Beach Front Condos" page. Please let us know if you have any questions regarding San Clemente Beach Front Homes.